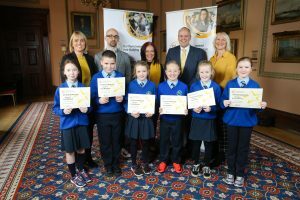 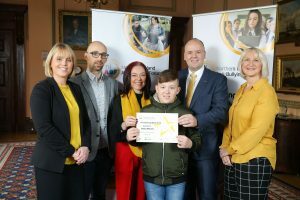 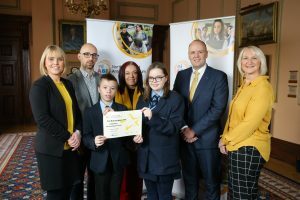 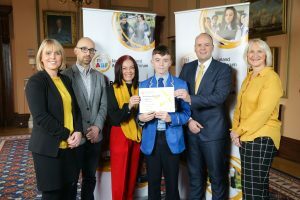 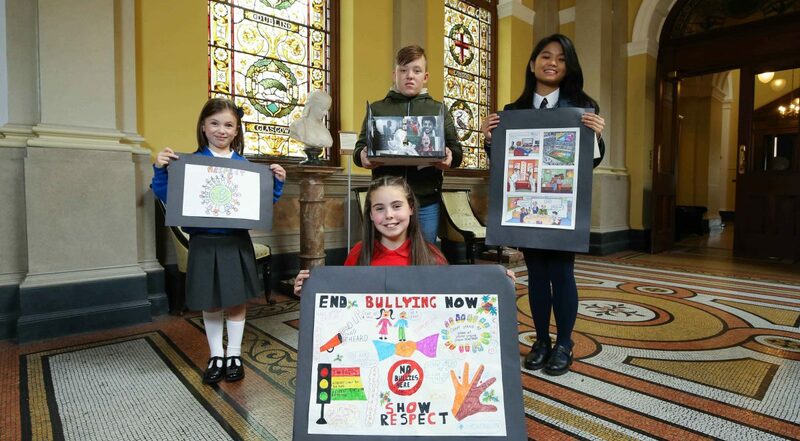 Respect was the clear message from the winners of this year’s Anti-Bullying Week creative arts competition (art and movie/performance) which were announced today at a special awards ceremony at Belfast Harbour Office. 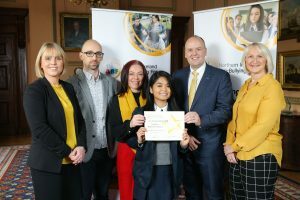 The annual creative arts competition has always played an important part of the Anti-Bullying Week initiative, which runs from 12 November 2018. 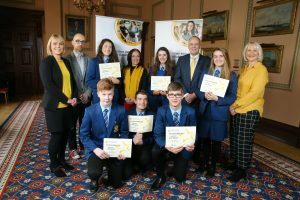 Prizes were presented by Clare Bailey MLA, local poet Colin Hassard, John Thompson (Translink) and Jacqui Durkin (Department of Education). 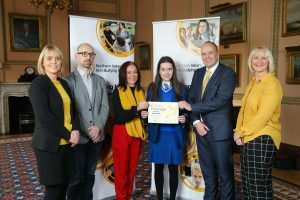 Anti-Bullying Week is coordinated by Northern Ireland Anti-Bullying Forum (NIABF) and supported by Translink. 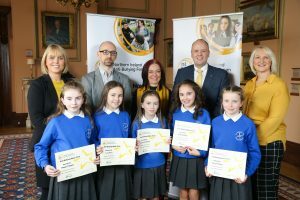 NIABF is an interagency group hosted by the National Children’s Bureau (NCB) and funded by the Department of Education. 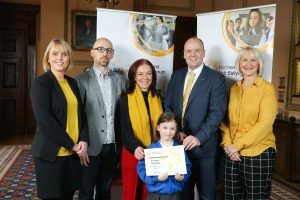 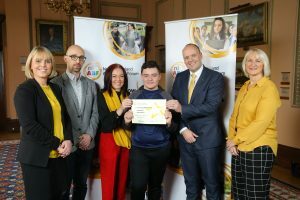 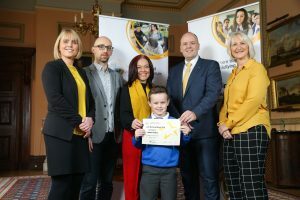 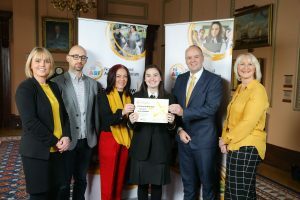 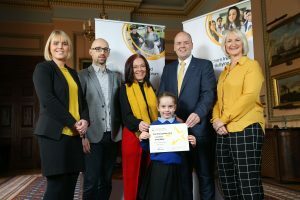 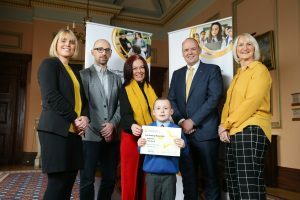 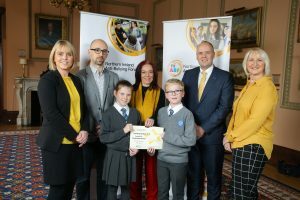 Speaking at the awards event, Gillian Cuthbert, Chair, Northern Ireland Anti-Bullying Forum (NIABF), discusses: “Anti-Bullying Week, and more specifically the creative arts competition, provides an important way of highlighting the issue of bullying to schools and the wider community. 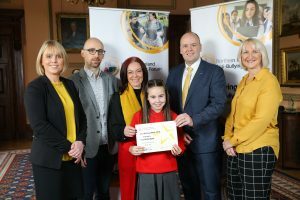 It helps students to understand the nature and complexities of bullying behaviours and explore ways of promoting the positive messages of anti-bullying.